Having an optimally functioning gut is key to healing one’s eczema as well as countless other diseases. We must heal from the inside out, and the integrity of the gut is the first line of defense in repairing the skin of eczema. The gut holds 80% of the body’s immunity! When the detoxification systems aren’t eliminating properly (gut, kidneys, liver) then the toxic waste needs to go somewhere, and the skin is the organ it decides to eliminate on. Putting the focus on healing internally with diet, and probiotic rich foods and supplements will put the body back in balance and add good bacteria into the body. The best foods to put into the body to repopulate the good gut bacteria are plant based foods. These foods are highly alkaline, fiber rich and come with an array of various vitamins, minerals and nutrients. Drinking celery juice first thing in the morning is another great gut healing remedy one can do. Check out this very informative video on why its best to fill up on all kinds of plant based foods in order to heal the gut which will in turn heal your skin as well as other health issues. Antibiotics – If you’ve taken antibiotics in the past year or even five years and you haven’t re-cultured your good bacteria you should look into taking a probiotic. Birth control and anti-inflammatory drugs like NSAID’s (over the counter pain meds like Tylenol, Ibuprofen etc) will also destroy the gut. 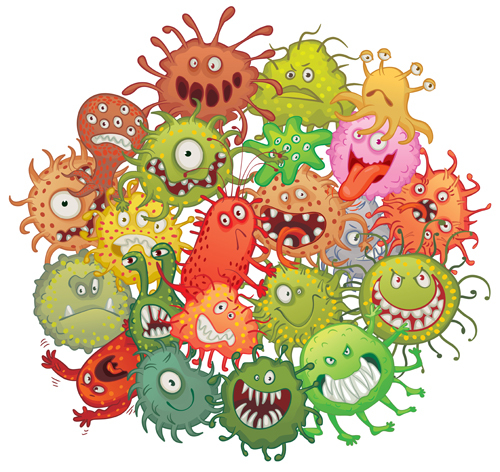 Food Poisoning – This is a shift in the equilibrium of the gut, meaning that you have more bad bacteria than good. When this happens you will definitely want to re-populate the gut with good bacteria. Digestive Disturbances – Such as bloating, excessive gas, constipation, diarrhea etc. If this is occurring, you will want to look into supplementing with a probiotic. Skin Conditions – Once you start to fix what’s going on in the inside of the body, the outside will reflect more harmony and balance of your health. Mood Disorders – If you are having mood issues, such as depression, there’s a good chance that a good probiotic will help bounce up the seratonin levels. 95% of the seratonin is in the body is actually made in the gut and it’s the “happy molecule” in the brain. Once you start fixing your gut, you will notice that your mood will start to enhance! Weak Immunity – If you’re the type of person that gets sick two to three times a year and you’re wondering why, there’s a good chance that over populated bad bacteria is holding you back and you should look into considering a probiotic. Yeast Overgrowth – If you’re dealing with any type of yeast infection or yeast overgrowth on the inside, rebalancing the good gut bacteria will definitely help you.